Students to raise money for her medical cost. Her name is Zhang Xiaoou. She is one of the top students in NUS Faculty of Science majoring in Quantitative Finance(QF) who serve her fellow students and community with love and passion. However, on 4th March, 2009, her life took a fatal turn. 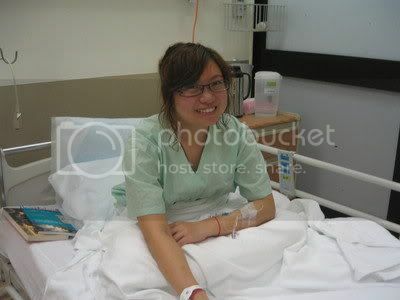 She was diagnosed with Acute Lymphocytic Leukemia (ALL), a life-threatening disease that will post a staggering SGD 400,000 medical bill to her middle-income family (Xiaoou’s mother is unemployed. Her father is a normal worker with average income of RMB 2000 <SGD 400> per month). The Online Citizen visited Ms Zhang today at the National University Hospital and her school mates at the National University of Singapore. We will bring you the story tonight.